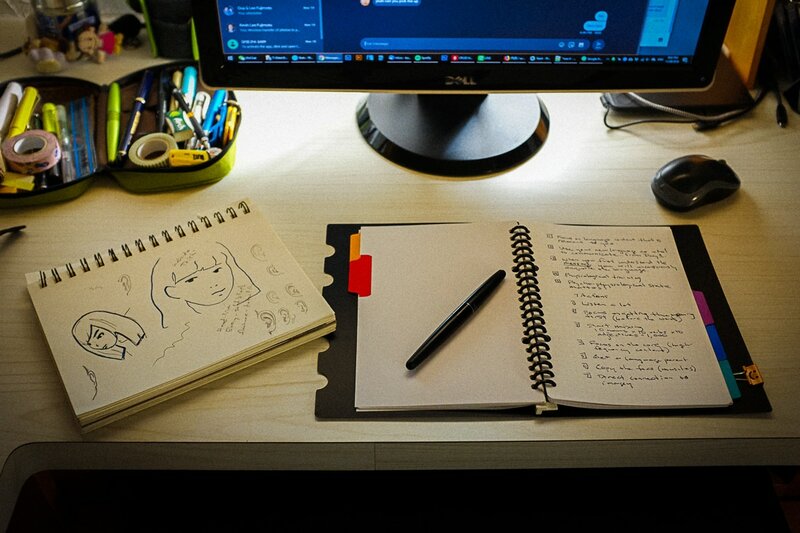 I wanted to mention the daily habits that have been part of my life lately, the newest one being the daily drawing. Drawing – Pencil sketching, ink on paper, or digital art. I still haven’t found a “signature style”, but I am definitely getting closer. Japanese Study – Anki vocabulary cards these days. Sometimes I will crack open the Genki textbook, but at the very least, I will review and build my flashcard sets. Ukulele – So much fun! The past week my wrist has been hurting a lot so I am going light on the ukulele practice, but I definitely want to learn Christmas Time is Here before December 25th. Exercise/Stretching – Neck stretches, squats, planking, or running. Decluttering – I throw out/donate at least one thing per day. Lately, it’s been pencils and pens that I don’t use, and old books are going into the Goodwill pile.